Smart Cook Thai Cookery School is one of Chiang Mai‘s professional Thai cookery school, located in a delightful 100 years old teak wood home. 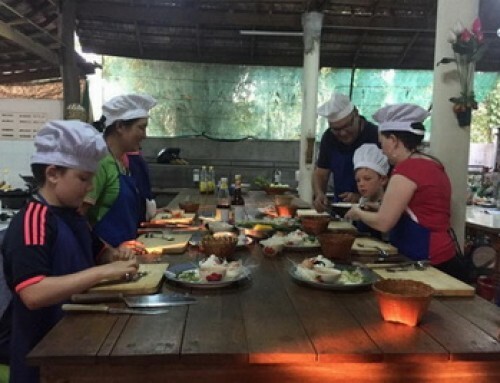 Overview : Welcome to Smart Cook Thai Cookery School, The Chiang Mai’s professional and the internationally renowned Smart cook Thai cookery school is now available for you to join them here in Aonang. Cooking great Thai dishes for your family and friends back home is a gourmet souvenir from Thailand that will leave a lasting impression for all. Our individual hands-on method is taught by your dedicated host. You will learn the art of Thai cooking with friendly knowledgeable Thai cooking experts. Cooking is done in our clean open-air kitchen and everyone has their own cooking station and wok. Class size is limited to 12 peoples in order to maximize individual attention. 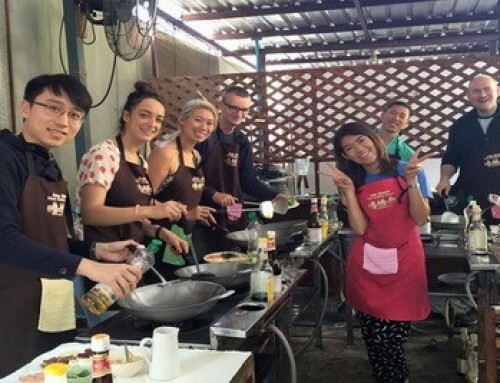 This is a wonderful opportunity to spend a day in a lovely.Thai home and learn how to cook Thai food. Surprise your family and friends at home with authentic Thai dishes : a gourmet souvenir from Thailand that will leave a lasting impression on all. 08:30 a.m. – 12:00 a.m.
or 12:30 a.m. – 04:00 p.m.
or 04:30 p.m. – 08:00 p.m.
Introduction to Thai herbs, spicies and rice. I’m interested cook in town class. We have 8 person. Please contact me.